Program Overview — Therapeutic Riding, Inc. Led by PATH, International Certified Instructors, our Group Therapeutic Riding Lessons offer a great foundation in adaptive horsemanship. Participants may ride, groom, or do groundwork with horses. Classes are taught to 4-5 riders in a 30-minute group lesson, assisted by specially trained equine partners and volunteers. No experience with horses is required to ride with this posse! Our PATH Int’l certified instructors will get you in the saddle and on the trail to renewed confidence, strength, balance and maybe even your old sense of humor. 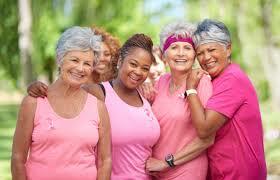 Share the support of other women who are surviving cancer. For equestrians looking to advance their skills, our para-dressage program offers a sports-centered track for riders with physical disabilities. TRI is the only USEF/USPEA Para-Equestrian Dressage Center of Excellence in the Midwest, and is served by our own Bronze USEF/USPEA Para-Dressage Coach. Open to current program riders, Summer Camp offers the opportunity for more barn time. Group sessions in riding, horse care, grooming, tack and other flavors of professional horsemanship …this is our camp experience! Summer rocks at TRI! This is a great opportunity for seniors to interact with a horse and learn some new skills. Share socially with peers while improving strength, flexibility, balance and body confidence. Mid-morning riding and grooming among new friends is a healthy alternative to isolation. Please contact us to learn more about our current openings.